First of all? I'm SO excited for this! If you don't live in Leeds, or even heard of Leeds for that matter! It's a fantastic city (and not just because it's my birthplace!). 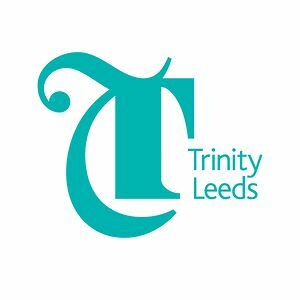 An exciting event is occurring in the Yorkshire calendar, which is the opening of Leeds Trinity. It's basically a shopping centre which is rumored to be one of the largest in Europe! Not only that, there are stores opening there for the first time outside of London, which include VICTORIA'S SECRET (EEK! ), Everyman Cinema - (A cinema with SOFAS. Yep, Sofas!) and lots more! It's also kinda exciting, because there's also going to be a Hollister, which means no more travelling 45mins to Sheffield to visit the Meadowhall! YAY. What's even more exciting? The fab designer Henry Holland is said to invent the opening show which is supposed to happen from 10am - exciting stuff! Sorry for the ever-so-quick post! Just had to share this with you all, as i'm a bit of a shopaholic! Leeds Trinity Shopping Centre will officially open on the 21st March 2013. Omggggggg, I'm from Huddersfield and I can't tell you how excited I am about this haha!! Open days are so much fun, I loved doing them next year and remember that feeling I got when I found "the one". I'm so glad I chose it and love living in London so much. My friend goes to University in Leeds and absolutely loves it - you're gonna have a blast!